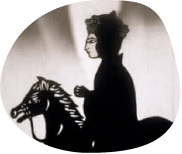 The professional and delicate skills of puppetry; the prolific and creative style of design; and the ability to communicate poetically. 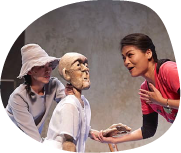 The Puppet and Its Double should bring a new face to the modern theater in Taiwan. 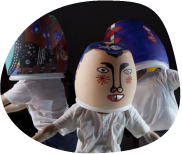 The Puppet and Its Double, a group of talents who venture to explore the possibility of dialogue between man and puppet. Their performance always leaves the audience swaying between awe and deep affection. They are a group we most anticipate in our time. They will have remained a shining star in theater even when we look back twenty years from now. The Puppet and Its Double expand the space of imagination by doing what man alone cannot do. They bring forth the real value of puppetry. 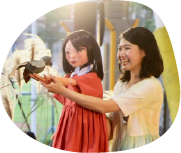 The Puppet and Its Double blur the boundary between the adult and the child. Witnessing their various attempts, I realize how puppetry can break through the multiple limits of theater. It is also with those attempts that the Puppet and Its Double shall be a theater group of most potentials in our time. 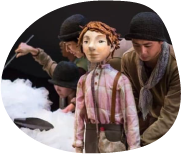 The Puppet and Its Double help us bring back a poetic sentiment in the world and discover humanity in objects. They also help us see ourselves in theater. The Puppet and Its Double invite us to roam in their plays and appreciate the indeterminate qualities in human relationships. Their plays touch us; they also amuse us. 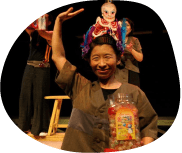 The Puppet and Its Double are considered the leader of avant-garde theater in Taiwan. Their works are one little fable after another, untying the threads that restrain imagination. 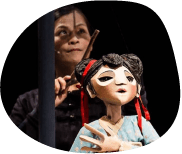 The performance is strong, rich, and dynamic, accentuated with an amazing precision in role switching, while the puppets perfectly symbolize the transition of energy. 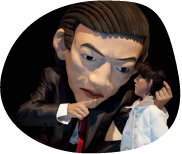 There is a good reason for actors and puppets to perform together on stage. 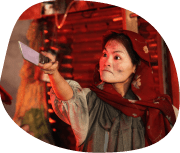 It not only creates a world of layered multiplicity and interwoven complicacies, but also allows the violent or exaggerative scenes to be staged through comical means, which thus makes it more enjoyable for audience… The intensity of its performance and the transformative mise-en-scène on stage are surprisingly impressive. 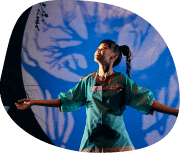 When the world celebrates a more and more sophisticated theatre, Puppet & Its Double brings us back to the charm of pure innocence and simplicity. The show is highly sophisticated and stylized in a way that transports the viewer to another realm. 無獨有偶工作室劇團 版權所有 2017 PUPPET & ITS DOUBLE All Rights Reserved.